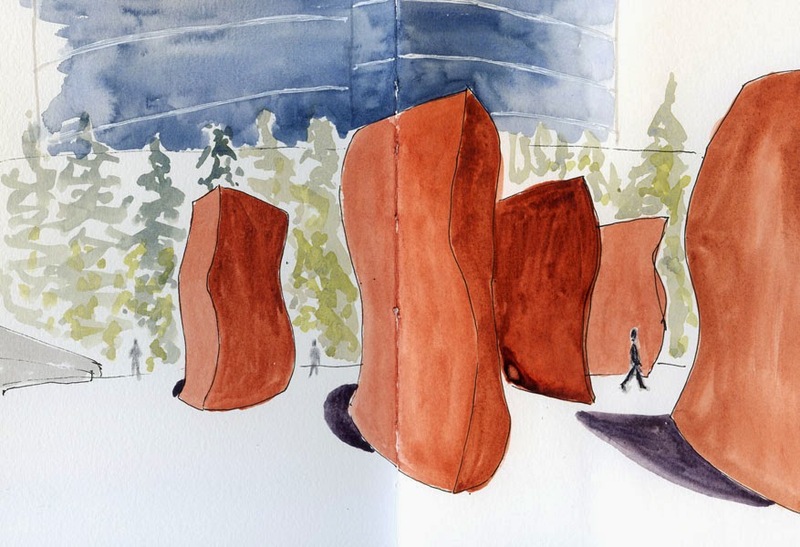 When the Friday ad hoc sketchers met at the Olympic Sculpture Park last August, I had noted in my sketchbook that it was sunny and 68 degrees – ideal sketching weather. When we met there again today? Not so much. In fact, the morning was looking so blustery and rain-imminent that I almost bagged it, but ultimately, I was glad I didn’t. 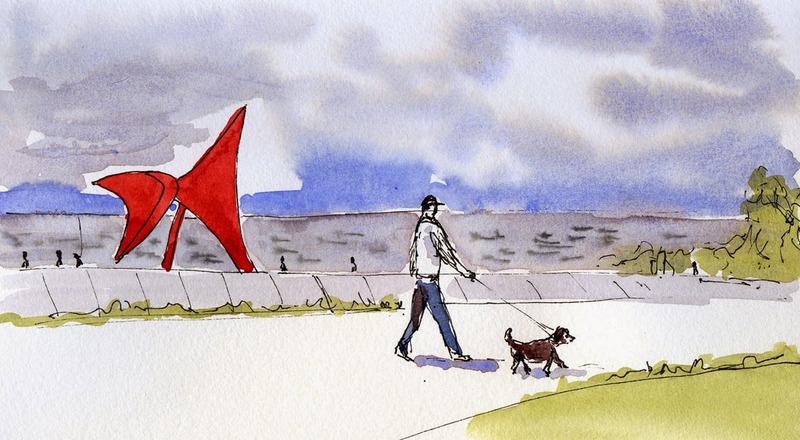 We met urban sketcher Sue Carroll and her family who joined us all the way from California, and if a Californian could stand to sketch in this gusty, drizzly weather, I guess I (reluctantly) could, too. After that, I couldn’t take it anymore, so I headed straight back to the Pavilion – and it started sprinkling even as I dashed into the building. The Pavilion itself was our indoor fallback sketching location in case it rained, and I hadn’t been too excited about sketching inside the building itself, but I didn’t realize what a great view it offers from its walls of windows. Cozy and dry, I could still sketch Alexander Calder’s Eagle in the distance. Kate, Natalie and I decided to stop for lunch and more sketching at Romio’s Pizza across the street. 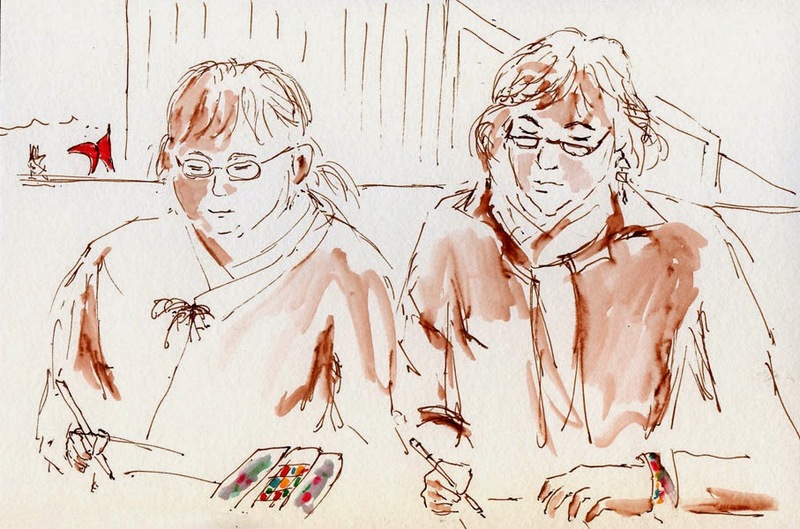 I got another chance to sketch that bright red Eagle – right over Kate’s shoulder.